In a landmark agreement to address climate change, Massachusetts and eight other Northeastern and mid-Atlantic states have agreed to create a system to impose regionwide limits on transportation emissions, the nation’s largest source of carbon pollution. Under the agreement, announced Tuesday, the states, which extend as far south as Virginia, have one year to develop a framework that caps the region’s overall transportation emissions and requires fuel distributors in those states to buy pollution permits for some of the carbon they produce. “Reducing transportation emissions is imperative to combating the causes of climate change and meeting Massachusetts’ aggressive greenhouse gas reduction targets,” Governor Charlie Baker said in a statement. If approved, the agreement would be modeled after the Regional Greenhouse Gas Initiative, a nine-state regional “cap-and-invest” system for power plant emissions known as RGGI. Widely seen as a national model, the mandatory market-based program has helped reduce power plant emissions from Maryland to Maine by about 40 percent below 2005 levels without raising average electricity prices. In a cap and invest program, the companies that produce the pollution would be required to pay for what they emit. The price would likely rise as the amount that each company is allowed to produce would decline over time. One specialist estimated the setup would cost motorists about $6 a month, if the costs are passed on to consumers. The states would be required to use the money raised from the pollution permits, also known as allowances, for a range of transportation-related projects, including public transit, carpooling and driverless car services, subsidies to accelerate the adoption of electric vehicles, and new bike lanes. Six of the nine states that are part of RGGI have signed the agreement — Connecticut, Delaware, Maryland, Massachusetts, Rhode Island, and Vermont, along with three other states, Pennsylvania, New Jersey, and Virginia. Washington, D.C., is also taking part. RGGI members New Hampshire, New York, and Maine have not signed, although New York and Maine are expected to. It is unclear why New York has not signed yet, but Maine is expected to join the coalition after its newly elected governor, Janet Mills, takes office next month. It’s unclear whether New Hampshire will join. With the addition of just New York, the coalition would constitute more than one-fifth of the nation’s population and a quarter of the country’s overall economic output. If the states were a single country, they would rival Japan as the world’s third largest economy. Proponents of the agreement said it was a major advance that could go a long way toward reducing transportation emissions, which make up 28 percent of US greenhouse gas emissions and 40 percent of the region’s emissions. In Massachusetts, the effort could be key to meeting the legal requirement to reduce greenhouse gases 80 percent below 1990 levels by 2050. One group that has long called for a regional agreement on transportation emissions estimated it could raise more than $5.5 billion over a decade and generate more than 50,000 jobs in Massachusetts. “A cap-and-invest program could unleash billions of dollars to deliver the overdue improvements this region needs,” said Jordan Stutt, carbon programs director for the Acadia Center, an environmental advocacy group in Boston. As scientists warn that the threat of global warming is far more immediate than expected, the agreement serves as a rebuttal to the policies of President Trump, who has called climate change a “hoax” and announced last year that he would withdraw the United States from the Paris climate accord. That agreement set forth a goal of limiting global temperature rise this century to well below 2 degrees Celsius above pre-industrial levels. At a major international climate change conference this month in Poland, representatives of the Trump administration touted fossil fuels and sided with Saudi Arabia, Kuwait, and Russia to block endorsement of a global warming study. Officials in Massachusetts and other states declined to answer questions about their role in forging the agreement, or what they hope will come of it. Some groups that represent fossil fuel interests expressed skepticism about the plan. Others worried that the agreement wouldn’t go far enough and would potentially undercut efforts that could have a more immediate effect, such as a bill the Massachusetts Senate passed last June aimed at reducing emissions from transportation and buildings. Barrett said he also worries about closed-door meetings that might lead to a deal that could be difficult for state lawmakers to enforce. The final agreement, which would have to be approved by each state, wouldn’t prevent them from imposing their own carbon tax. Moreover, a regional approach to reducing carbon emissions is likely to dwarf any individual state tax, advocates say. 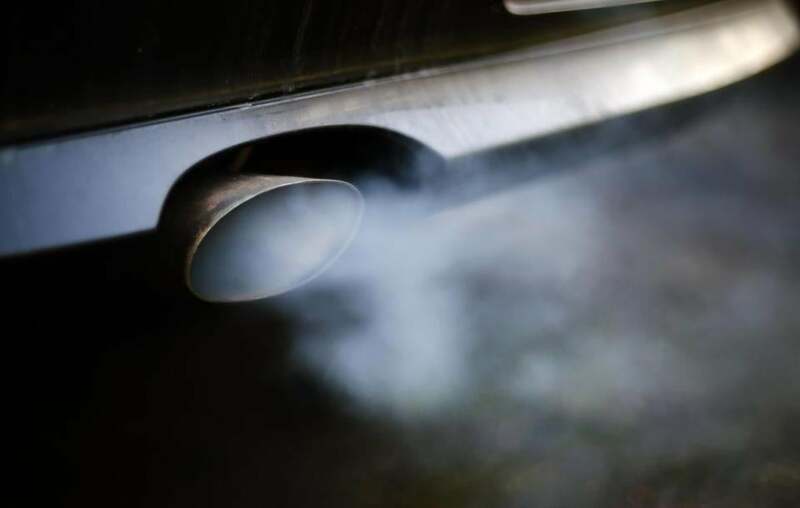 Ken Kimmell, president of the Cambridge-based Union of Concerned Scientists, estimated that the program would cost drivers an average of $6 a month, assuming the costs are passed from the region’s distributors of diesel and gasoline to consumers. He and others pointed to the benefits already seen in a similar partnership between California and Quebec. A tally by the California Air Resources Board this month said that the program has raised nearly $9.5 billion in the state since it took effect in 2012, although that total includes sources of pollution beyond transportation emissions. With the new agreement, states will have to work out a host of details, from the amount of the emissions cap and the rate of its decline to who will pay for the pollution allowances and how the revenues will be allocated. But by announcing that they plan to work together to reduce emissions, the states are sending an important signal to the rest of the world, Kimmell said. “These states help reassure an anxious world that the United States is still in the fight, while meeting the pressing needs of their residents who want clean, reliable, affordable transportation options,” he said.